India is becoming more confident and realistic in its dealings with China, writes Harsh Pant. 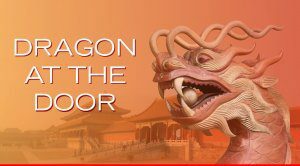 This piece is part of MLI's The Dragon at the Door series, with commissioned articles from leading world experts exploring different elements of China’s rise as a great power. Relations between two rising powers in Asia – China and India – are passing through a difficult phase and these tensions see no sign of abating any time soon. As Indian Prime Minister Narendra Modi consolidates his power over the nation’s political landscape, his government seems to have recognized that China, rather than Pakistan, poses the most significant strategic challenge to India. This point has only been underscored by the recent stand-off between the Indian and Chinese militaries in the Doklam region of Bhutan, near the India-Chin- Bhutan tri-junction. This stand-off from mid-June to early September 2017 was one of the most serious in the last three decades and came at a time of multiple stress points on the relationship. Despite diplomatic engagements at the highest levels, the two countries continue to be at loggerheads on a range of bilateral issues. Indeed, the stances on both sides have only hardened, with China showing no signs of budging on key issues that matter to India. China has also been largely obstructionist to India’s effort to become a permanent member of the UN Security Council. For instance, there has been no change in Beijing’s policy of blocking efforts by India at the UN to get Pakistan-based militant Maulana Masood Azhar added to a UN Security Council terrorist group blacklist. New Delhi holds Azhar responsible for numerous terrorist acts in India, including the 13 December 2001 attack on its parliament. China has also been largely obstructionist to India’s effort to become a permanent member of the UN Security Council. India recently suggested that it was willing, in exchange for induction, to surrender the important veto right to which permanent members are entitled. Yet, even with this new step, China’s response has been lukewarm at best. India, alongside Brazil, Germany and Japan (the G-4) have been calling for a change in the UN Security Council permanent membership in light of the changing global order. China also remains opposed to India’s entry into the Nuclear Suppliers Group (NSG), linking it with Pakistan’s entry into the grouping. Despite China’s outreach, India was also one of the few powers that completely boycotted China’s Belt and Road Forum in May after it was left asking Beijing to explain how it can take part in the summit when the $54 billion China-Pakistan Economic Corridor (CPEC) passing through Pakistan violates India’s sovereignty. The CPEC, the Belt and Road Initiative’s flagship project that connects China’s Xinjiang province with Pakistan’s Balochistan province, runs through contested territory of what India calls Pakistan Occupied Kashmir and Pakistan claims as the areas of Azad Kashmir and Gilgit-Baltistan. For its part, the Indian government continues to seek greater access to the Chinese market but with no real success so far. India has been pushing China to further open up sectors like information technology software, pharmaceuticals, and agricultural products. For the second year in a row, India’s trade deficit with China is set to cross the US $50 billion mark in 2016-17, the highest with any single country. India has certainly become more nuanced in its dealings with its most important neighbour. A rattled China is calling for greater global cooperation against the Islamic State, which is also a reason why China has joined ranks with Russia in a bid to engage the Taliban in Afghanistan. But even here, some major differences remain between China and India – as the Indian Foreign Secretary was careful to underscore. On the Taliban, he suggested that “their [China’s] characterisation was that there were elements of Taliban which are very extreme. In their view there were also elements of Taliban that can work with international community and Afghan government.” India has continued to resist calls for any engagement with the Taliban, arguing that there is no good and bad Taliban. As Beijing and New Delhi struggle to manage their complex relationship, India has certainly become more nuanced in its dealings with its most important neighbour. Even as it seeks to engage China on a range of issues, India has shown a new realism in acknowledging and articulating their bilateral differences. The diffidence of the past has been replaced by a new self-confidence in asserting its vital interests vis-à-vis China. India seems to be taking it in its stride. Beijing has warned India of “political consequences” if it interferes in the country’s internal affairs. Yet Kiren Rijiju, Union minister of state for home affairs who is from Arunachal and is Prime Minister Narendra Modi’s point man on Tibetan issues, had little issue meeting the Dalai Lama, who was visiting the Buddhist Tawang monastery after an eight-year interval. China has been warning India for some time now not to fall into the “trap” of the US and Japan. Taiwan is now part of the Indian foreign policy discourse as well. A three-member women’s parliamentary delegation from Taiwan visited India in April amidst signals that the two sides might be getting serious about enhancing their bilateral engagement. This can be contrasted to last year when India reportedly backtracked from sending representatives to the swearing-in ceremony of then Taiwanese president-elect Tsai Ing-wen. India is also building strategic relationships with key players in the Indo-Pacific including the US, Japan, Australia, Vietnam and Indonesia. Against the backdrop of China’s growing assertiveness on the South China Sea, India has been vocal about the need to respect international law and freedom of navigation. As China’s power grows in the Indian Ocean, New Delhi will likely expand its footprint in the South China Sea. India now regularly participates in the annual Malabar series of naval exercises in the Indian Ocean and Western Pacific, which started out as India-US drills in 1992 but have included Japan since 2014 and more occasionally Australia and Singapore. China has been warning India for some time now not to fall into the “trap” of the US and Japan who are trying to use it to contain China, underlining that such a move may make New Delhi face more risks. But, by not acknowledging India’s core security concerns and resisting its rise in the global order, China has managed to undercut this argument considerably. New Delhi has responded by becoming ever more assertive vis-à-vis what it feels is Chinese intransigence. The attacks on India have grown considerably in the state-owned Chinese media, a reflection of some nervousness in Beijing about India’s growing assertiveness. This has happened even as China’s military and economic embrace of Pakistan is almost complete with CPEC on one side and a potential military base in Gwadar on the other. What is clear is that Sino-Indian relations have entered uncharted territory as New Delhi seeks to engage Beijing strictly on reciprocity, resetting the terms of bilateral engagement. The future of the Asia, in more ways than one, depends on how the two regional giants relate to each other in the coming years. The Modi government wants to ensure that India is not the one to blink first. Harsh V. Pant is a Distinguished Fellow at the Observer Research Foundation, New Delhi and Professor of International Relations at King’s College London.